I had a great trip to Belarus. The country is beautiful and reminds me a lot of northern Minnesota, probably because over 40% of the country is forested. I wanted to share about my trip in my blog, but I have more than enough to share in just one blog post (especially with pictures). It seems a good place to start is the travel - getting the visa, finishing our registration (a miracle! ), and getting there and back again. While we were in Kiev the early part of December, I applied for and received my visa to be in Belarus from January 12 to January 21. It cost $140 and took one week to process. I learned later that they called the number of the man who was inviting me. Their son answered the phone and stated that he doesn't know any Americans. All the man at the office told me was "that number does not seem to be working." I got the cell phone number of the man's wife and she straightened everything out. When I bought train tickets for my trip, I learned that it would take two nights of travel - one between Krivoy Rog and Kiev, the other between Kiev and Minsk. I bought a ticket for all four legs of my journey - Wednesday January 11th to Kiev, Thursday night to Minsk, leaving Minsk on Friday January 20th, and Saturday night to Krivoy Rog. The Kiev-Krivoy Rog tickets always cost less than $15, so I was surprised to learn that the Kiev-Minsk tickets were close to $75, even though the ride was less than two hours longer. 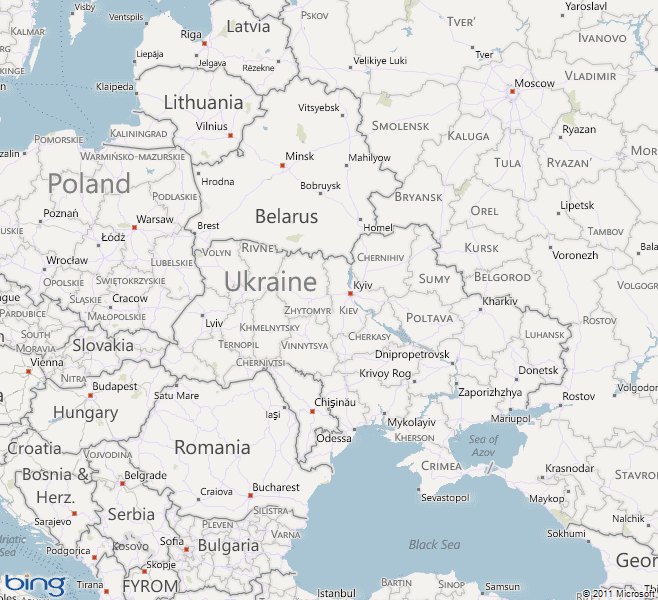 Belarus is the country that borders the western part of Ukraine to the north. Minsk, the capital of Belarus, is nearly in the center of the country, and my destination on the train. The country itself is about the size of Kansas. (For comparison, Ukraine is nearly as large as Texas.) The country has had the same president since 1994 and most people consider him to be a dictator. They are ruled in a Soviet-era manner, which makes it a very difficult country to live in. I believe strongly that God had ordained this trip from the start, so I did not give much though to how close I would be to finishing our registration for living in Ukraine. That was something that needed to happen before I could leave the country again. As we got closer to the time of my trip, I realized that I may need to change the beginning date of my trip, but because of plans my friend had (and the date on my visa), I could not change the end date. In hindsight, I realize that I should have applied for a 30 day visa (rookie mistake). Our colleague in Kiev worked on getting all the necessary registration documents in order from the time we got back from Moldova just before Thanksgiving. We made a one day trip to Kiev the week after Christmas to sign some documents. He filed for our registration on January 3rd. The word at that time is that it would take 10 days. We prayed and had others praying with us. God gave me a confidence and a peace that He was completely in control - no matter what happened. When I talked to our colleague the next weekend, we decided it was best that we come to Kiev so we were ready to pick up our registration - whenever that would take place. On Monday January 9th, I tried to go buy train tickets for either Monday or Tuesday night. No tickets for either night. That is very rare. I also returned my ticket for Wednesday, since we were now going as a family instead. Our next option was the bus, so I headed to the bus station. My first experience trying to buy bus tickets last summer was a language nightmare, so I still kind of dread doing that. What a pleasant surprise when I had no trouble at all buying tickets for early morning on Tuesday. Then I had to pack for my trip to Belarus and several days in Kiev, still not knowing what would happen with our registration. We were up shortly after 4 AM Tuesday so we could get to the bus station by 6 AM. The bus ride to Kiev was not too bad and the time went relatively fast. 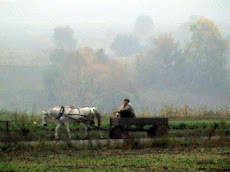 We stopped four times and arrived in Kiev about 2 PM, where we were met by a friend. We got settled and waited. I still had the peace from God that everything was under control. Wednesday afternoon we learned that we could go pick up our documents on Thursday afternoon. They were not finished yet, but partially processed, and we needed to pick them up in person . Thursday afternoon, our colleague picked us up and we headed to the appropriate office to do just that. (I told Denise that I left my train ticket behind, still believing that I would not have to return it later.) When we arrived, there were many people waiting in the office/hallway (normal in Ukraine), and our name got added to the bottom of the list. After waiting 10-15 minutes, a lady came out of an office carrying some files. My name was the first one she read and Denise's was second. We were led to another office where she had us each sign something, gave us our passport and a registration document, and we were ready for the next step. Our colleague made a phone call as we started driving across town, and the lady he talked to said it would be Tuesday before we could get it done. I will be honest, my faith was starting to waver. As we were riding in the car, I heard Denise also praying quietly in the back seat. We made several stops in different offices, when our colleague came back from an office and said we were done. It was a miracle - and nothing less! Thank you, God! You came through just on time again. It reminds me of the words to a song "God will make a way, where there seems to be no way." We got back to where we were staying about 5 PM and I needed to get packed up and ready to get on the train. We decided to buy tickets for Denise and the girls to return to Krivoy Rog on Friday night. Denise came with me to the train station so I could buy the tickets for her before I left. We were able to get three tickets in one coupe, which actually surprised me. Many times there are only two places left in all the coupes when it is that late. I boarded my train and learned why the tickets were more expensive. It is a much nicer train that what we have ridden in Ukraine. The seats did not have a Naugahyde type of fabric, which we are used to. The lights were controlled by a panel above the door, not with switches. The bathrooms were actually nice and the toilets even flush, rather than just having a flap that drops the contents on the track. In my coupe, I had one young man who was somewhere else on the train for several hours and one lady who talked on her phone, but got off after a couple of hours. The temperature was comfortable and I actually got some sleep. The bathroom was nice and clean! Here is a video of the toilet flush and you also get to hear some of the noise of being on the train. The toilets actually had a "normal" seat. The border crossing was not too bad, considering it was the middle of the night. The Ukrainian border patrol was on the train while we continued moving, so that one was really easy. Two different border guards from Belarus came through separately, asking what stuff I had with me (narcotics, weapons, money, gifts). Finally the person came to check my passport/visa, stamped it, and that was over for me. When I arrived in Minsk, it was 8:30 AM and still dark. Belarus and Russia did not change their clocks in the fall, so Belarus was an hour later than Ukraine. It was still dark until 9 AM or later, which seemed very bizarre to me. Stay tuned for future blog posts about my time in Belarus. After just over a week, my time in Belarus came to an end and it was time to head to the train station again. I will miss my dear friend and his family, but am excited about what God has in store for them. We said our goodbyes and I settled into my coupe. We ended up with four guys in there, but all of them got off in less than 3 hours. Another man joined me after that, so it was just the two of us for the rest of the trip. We again crossed the border in the middle of the night. It is always frustrating to have your sleep interrupted. This time the Belarus crossing was pretty easy. A couple of patrols asked some questions, another one took care of the passport/visa. This time the train was stopped at the Ukrainian border. There were several border guards who came through checking what we had. One guard made me open my suitcase, even though I told her it was only clothes (and mostly dirty ones at that!). I got my passport stamped again, and soon we were on our way. Otherwise, the night was quiet, though I didn't sleep as good this time. I spent a relaxing day with friends in Kiev, where it snowed all day. That evening I was on my way to Krivoy Rog with just one other person in my coupe. We arrived in Krivoy Rog to find partially melted snow that had frozen and was icy. I found a taxi at the train station to get me home and the driver was unusually friendly and talkative. Many times people here will ask if we are German or Polish (as he did) and they are surprised to learn we are American. I was tired, which made for challenging conversation for both of us. It was so good to be home. While I was gone, I realized that my perception of home had changed a lot in the last year or two. Home is not a place with an address. Home is wherever you are with your family. While we were in Moldova for 24 days, we were together as a family, so that was home. I missed my family - my wife and two daughters, as well as our three Ukrainian sons. The best part is that they missed me, too. As I look back on this part of my trip, I am thankful that I serve a miracle working God. The registration process is difficult and full of hurdles and waiting. Our colleague did the leg work and we had to do our part. But God finished gave us favor with those in power so that I could make the trip as planned. I am grateful for the freedoms that we have in America and in Ukraine. These are things that we often take for granted. I love and appreciate my family. It was not easy for my wife to have me gone for that time period, but she did not prevent me from going. All the kids helped out in some way, but one of our Ukrainian sons was a huge help (she needed it because there were at least five for supper every night). He came over every day while I was gone. He did dishes and some cleaning. He helped Denise go shopping. What a blessing! How about you? What is your relationship with God like? Are you grateful for your freedoms? Do you love and appreciate your family? 2011 is now completely in the history books. We started the year in Simferopol, Crimea, Ukraine watching fireworks with friends. We ended the year at home in Krivog Rog spending the evening with our Ukrainian family. Life during 2011 was full of ups and downs. There were moments of fear and moments of faith. We faced the very real possibility of losing loved ones this year, but we are so thankful that they are still with us. Other years have been different, and it has been our family dealing with the loss of a loved one. I am so thankful that God still comforts us in our times of loss! Some days we accomplished what we planned, but many days were out of our control. Our 24 days in Moldova was over two weeks longer than we planned. Last week we did not plan to make a trip to Kiev, but we did it because it needed to be done. That's how life is. Sometimes you just need to do what needs to be done when it needs to be done. As I look back, I am grateful for how God has taken care of us and provided for us. He has enriched our lives by expanding our family. It is amazing to watch God at work. If I had it to do over again, I would do some things differently (I know you would, too), but would still be living in Ukraine because that is what God has for us! Through my life, I have learned that God is always faithful to His Word (thanks, Dad!). Always. Hebrews 13:5 says "...I will never fail you. I will never abandon you." That is always true! Time marches on. Someone has said, "Time and tide wait for no man." Ready or not, 2012 is here. As we "unwrap" the year, will we have wonder and excitement or fear? We started the new year in Krivoy Rog, Ukraine watching fireworks with one of our Ukrainian sons. The eighth story view of the city was good, but nothing like last year's fabulous view in Simferopol. I am certain that 2012 will be full of ups and downs. There will be moments of fear and moments of faith. Joshua 1:9 (NLT) says "This is my command—be strong and courageous! Do not be afraid or discouraged. For the Lord your God is with you wherever you go." I am so thankful that God goes with us and gives us courage when we have none! I am excited about some of the things that we have planned for 2012. We look forward to returning to the states near the end of May. We miss our families and friends and look forward to spending time with them. But that same plan brings sadness, because it means saying goodbye (for a time) to our Ukrainian family and the many people that we have grown to love here in Ukraine. With our plans to live in the states for a year or so, there are many unanswered questions. Where will we live? What about a vehicle? How will we adapt to reverse culture shock? What will it be like living in America again? What will full-time itineration be like? Where will we get all the things we need to set up a home again (we saved some things, but got rid of most things)? The list can go on and on, but I do not worry about those things. As I look back, we have had similar questions in the past - and God has always taken care of us. This time will be no different. Here's a poem I remember my Mother sharing with me - "The Future" (author unknown). And brighten up my way. Bring me whate'er you will. I shall be cared for still! What about you? Are you looking forward to 2012 with fear or faith?